It needs to be noted that, Bank of Baroda is seen as a strong bank, while Vijaya Bank slightly better and Dena Bank is the weakest entity in the group. Another PSB merger is underway, as the government has announced to amalgamate Vijaya Bank and Dena Bank with the third largest state-owned Bank of Baroda, as announced by PM Narendra Modi government. Investors have already shown mixed emotions on the merger news by removing their money from Bank of Baroda, and buying shares of Vijaya Bank and Dena Bank. It needs to be noted that, Bank of Baroda is seen as strong bank, while Vijaya Bank slightly better and Dena Bank a weaker one, which is already included in RBI’s PCA framework. How does government plan to merge these banks together still requires clarity, however, the banks' boards are expected to meet in 10 days to take a call on the decision. Decision to merge is very simple as the government and RBI are in position to take concrete measures after asset quality review deadline, as the bad debt crisis in Indian banks seem far deeper than expected. Arun Jaitley famously announced yesterday that the NPA crisis was not Rs 2.5 lakh crore, as earlier estimated, but was actually Rs 8.5 lakh cr. For now, Bank of Baroda share price has tumbled by nearly 14%, on the other, Vijaya Bank and Dena Bank has jumped by over 10% and 20% respectively. If the merger is on the back of high stressed assets, let’s understand to how much is actually going to be merged. As on June 2018, BoB has gross NPA of up to Rs 55,874.81 crore higher compared to GNPA of Rs 56,480.39 crore in Q4FY18 and Rs 46,172.77 crore in Q1FY18. In value terms it is way higher than what Vijaya and Dena hold in their financial books. GNPA of Vijaya Bank was at Rs 7,579.11 crore as on June 2018, while Dena Bank’s GNPA stands at Rs 15,866.11 crore for the same period. In percentage terms, Dena Bank’s gross NPA ratio is highly stressed at 22.69% as on June 2018, while BoB’s stood at 12.46% and Vijaya Bank at 6.19%. 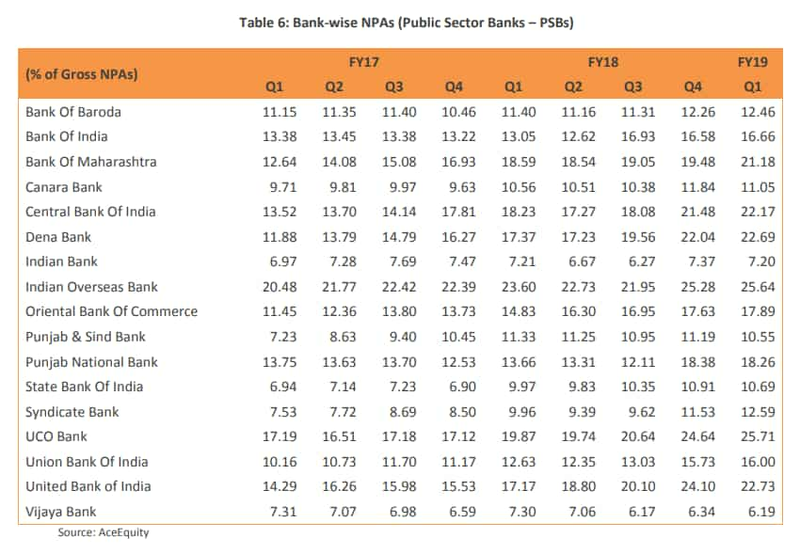 It needs to be noted that, Vijaya Bank is the only bank that has stable gross NPA than any other PSBs. Together, these three banks gross NPA comes in at Rs 79,320.03 crore. Now this can be a cause of concern, if BoB will bring Dena under its umbrella as its gross NPA is already sticky. However, one can always learn from their past, to know whether merging three different banks, three different business and three different stressed assets can be a good idea or just another addition to trouble days. Noteworthy, the consolidation concept is not entirely new in India. In 1991, it was suggested that India should have fewer but strong PSBs. Though it was only in May 2016 that effective action to consolidate state-owned banks struck headlines with six associate banks getting merged into State Bank of India. The difference between SBI merger and the latest consolidation announcement is that, the largest lender SBI took its own associates under it. While BoB, Dena and Vijaya are entirely different entity with various risks. As on June 2018, SBI’s gross NPA stands at Rs 1,990,172 crore compared to Rs 2,048,387 crore in Q4FY18 and Rs 1,886,666 crore in Q1FY18. The ratio stood at 10.69% in Q1FY19. This is a consistent rise in SBI’s gross NPA on yearly basis. Before merger, SBI’s gross NPA ratio was at just 6.90% and its merged about 20.15% GNPA ratio of its associate banks, as per the financial audit report. From the performance of SBI post merger, even though merger of PSBs can be one solution to end weaker banks, but resolution for rising NPAs is still a key that would be needed. Last year, a Moody's Investors Services report stated that merging will do little to resolve the issue of a high level of stressed assets on the books of banks and will not result in any meaningful release of capital. "From a credit perspective, industry consolidation would strengthen the banks` bargaining power, help save costs and improve supervision and corporate governance across the banking system," Moody`s said. Rajan has always been against merger of PSU bank for a list of reasons. In 2015, Rajan pointed out that merging of two (or more) unhealthy banks will just create a new unhealthy entity. Such would create bigger problem in the economy. In case if government merges an unhealthy bank with larger one, as per Rajan this consolidation would bring problems for the acquiring bank. The acquirer will have to tackle with the cultural problems that arise out of the merger, besides dealing with the primary challenge which would be the bad loan pile in the weak bank, thereby creating difficulties for the strong bank. 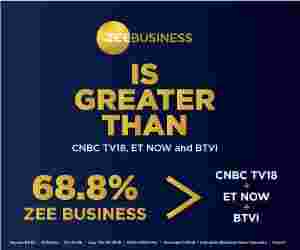 As for the BoB, Vijaya and Dena trio merger, Nilanjan Karfa and Harshit Toshniwal, Equity Analysts at Jefferies said, "We don't think the merged entity comes off terribly worse off, at least on paper, though a smooth three-way merger is always a tall ask."